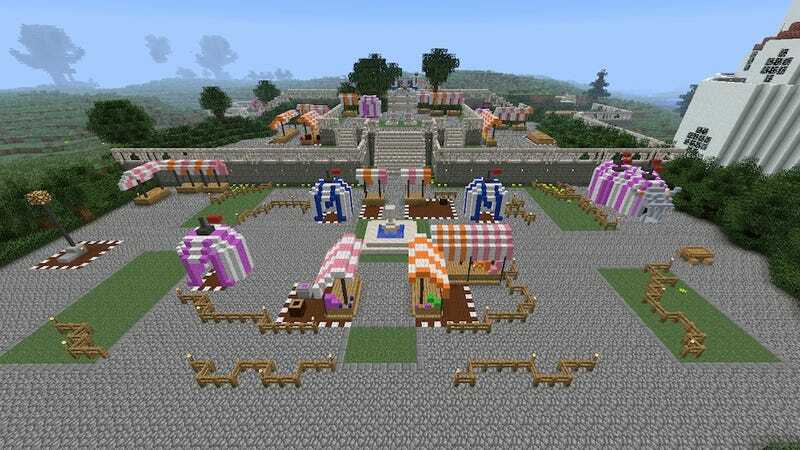 Here's a confession: I'm a sucker for awesome Minecraft projects. Particularly the ones that recreate great RPGs or stunning worlds. So I got a serious kick out of this blocky version of Chrono Trigger's Millennial Fair, created by Kotaku reader DarkScryPrime. DarkScryPrime says he used mods like RedPower 2 to construct the project, which even features a giant Gato.